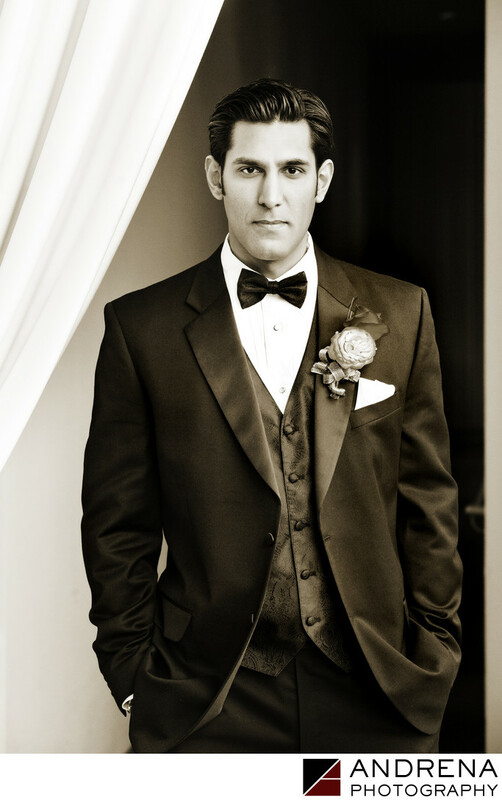 A great groom portrait is all about simplicity. For this wedding portrait, taken at the SLS Hotel, I positioned the groom in between a corner of a white curtain and a wall. The end result is exactly what I wanted. There is nothing busy in the background to distract from the groom or his gaze, and he let me know that this was one of his all-time favorite portraits. I love converting groom portraits to black and white, as I think it adds a timeless quality to portraits of male subjects. I also love making my clients happy. Wedding photographed at the SLS Hotel, La Cienega, Los Angeles.